Although not yet in widespread use among hunters, remote-controlled drone aircraft have been employed to spot and track hunting game. The new practice is drawing a great deal of scrutiny across much of the hunting community. Improved remote-controlled aircraft now available to civilians are affordable, particularly when compared to the cost of big-game hunts. 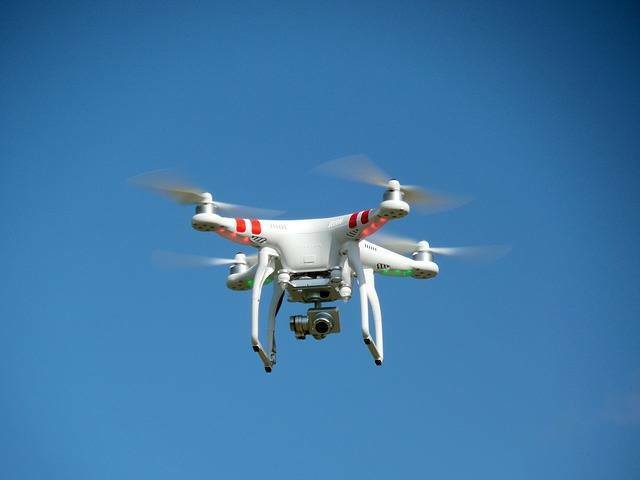 And the cameras mounted on the drones can deliver high-definition, real-time video to laptop computers and possibly even cellular phones. For many hunters, using such tactics to harvest game isn’t particularly sporting, but others are more interested in adopting new technologies to help them locate game and raise the odds that they’ll fill their hunting tags. Lawmakers in Alaska recently outlawed the use of drones by hunters, making the largest U.S. state the third to ban drones for hunting. Earlier this year, Colorado and Montana applied a ban on this approach to sport hunting. All three states are very popular among big game hunters. They offer a wide variety of big game and even dangerous big game hunts, from mule deer and elk to bear and moose. But using a drone to spot and track such normally elusive prey gives a huge advantage to hunters that many have argued is not very sporting. Wisconsin and Idaho lawmakers already have passed bans on using unmanned aircraft during the hunting season, but the genesis of those laws is rooted mainly in thwarting anti-hunting activities by activists who disapprove of any form of hunting. One of the many arguments against drones centers on the fact that most prey rely upon their senses of smell, sight, and hearing to detect predators as well as prey. When a drone is used, the small aircraft can fly relatively silently above unsuspecting prey who cannot see, smell, or hear this predatory tool. That takes much of the sport out of stalking or setting up an ambush for hunting prey, opponents of drones contend. Wild animals are not accustomed to sky-borne dangers and can’t smell or hear the often whisper-quiet, remotely controlled aircraft which were developed for military applications. When converted for hunting use, the resulting ability to locate, track, and even herd game switftly would be too much of an advantage for the hunter and diminish the sporting quality of the hunt. People who advocate the use of drones for hunting emphasize the many advances already provided by technology and long accepted — such as long-range hunting scopes, game cameras, mechanized game calls, and even rifling in long guns. These are substantial improvements in hunting technology that have enabled humans to harvest game more easily and effectively without decimating local populations of deer and other commonly hunted prey. A drone simply locates the prey. The hunter still has to go in and take the animal down, and that’s not much different from using a tree-mounted game camera with a motion detector that lets hunters know where game is active. Despite arguments for drone use, many national and local government agencies and legislatures are considering bans on their use by hunters.